This photo shows the hustle and bustle of wedding day prep at the Bride's parents' house. 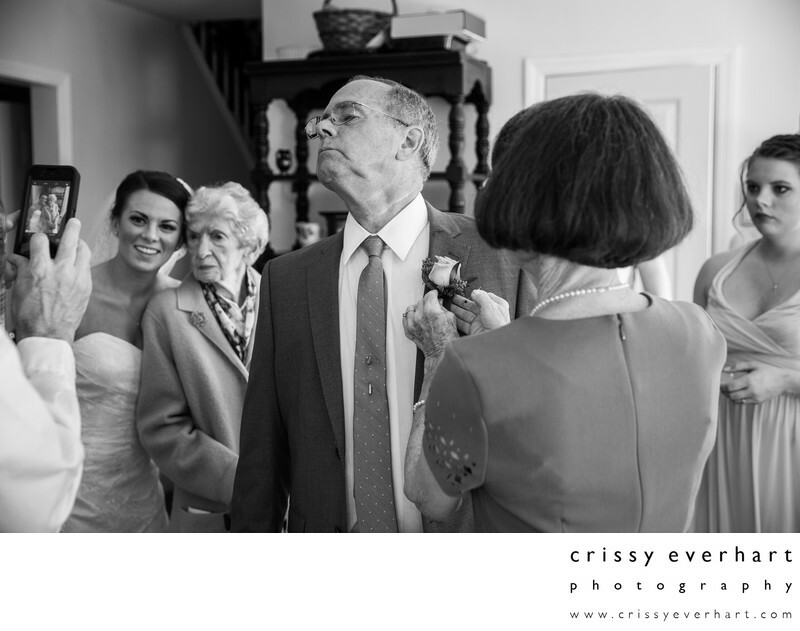 The bride's aunt pins a boutonniere on the bride's father, as the bride and her grandmother pose for a photo in the background, taken by her uncle on his cell phone. Sister watches from the side, waiting to load into the limousine for the drive to the church!